Microscopes - Welcome to The Frog Pad! Biology Corner's How To Use A Microscope pretty much has everything you need to know about using and caring for the school's microscopes, as well as how to make microscope drawings. 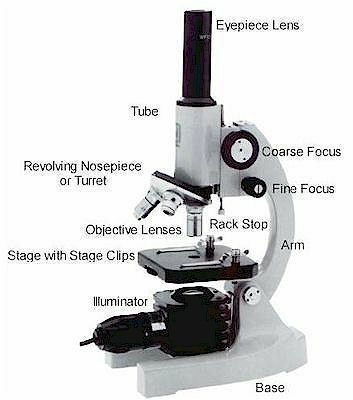 Take this microscope quiz to practice the parts. Explore an electron microscope with Discovery Channel Education's virtual electron microscope.